Luckily, after my hellish run through Vancouver and into Seattle, I had a bit of time to relax the next morning. I stayed across the lake in Kirkland, but I got some much-needed sleep after such a rough journey through Western Canada. That’s because my tee time the next day wasn’t until after 1:00 pm. 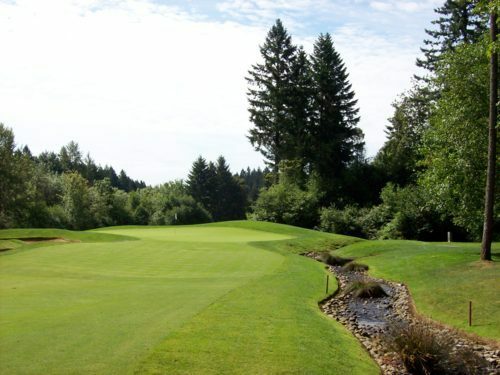 Let me preface the next part of this story by thanking one of the guys I happened to play with a few days earlier at Coeur d’Alene. I was telling him all about my trip. He was from Seattle and out in Idaho for a little vacation. 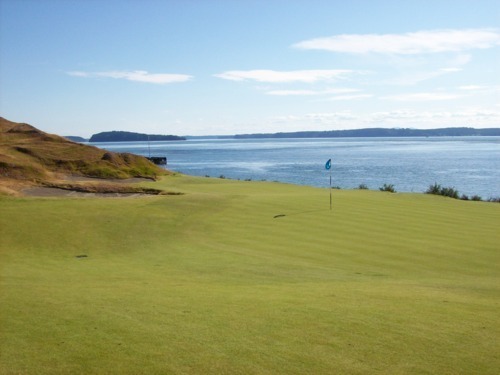 He asked me which course I was planning to play in Washington and I told him my plan was to play at Newcastle, which I had picked for it’s elevated scenic views of the city and Puget Sound. I didn’t really know much more about the two courses there, but it’s what I had settled on. So even in my heart, it was the one choice I wasn’t completely locked in on. 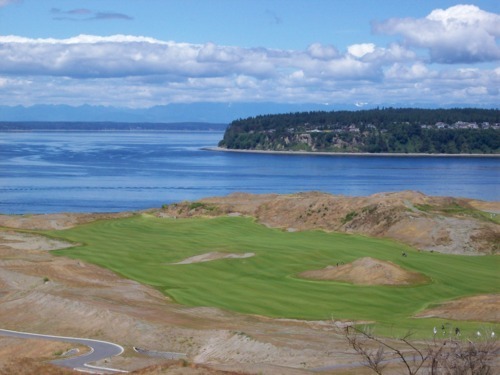 Anyway, the guy tells me I should check “this new course” that was just getting set to open in Tacoma. 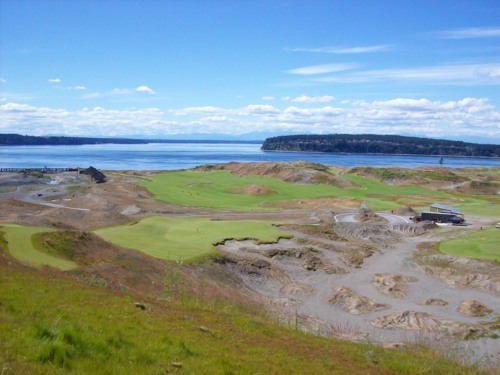 He said it was called Chambers Bay and it was supposed to be Washington’s answer to Bandon Dunes. Even he didn’t know much about it yet, but he’d heard the hype and thought maybe it would pique my interest. It did. 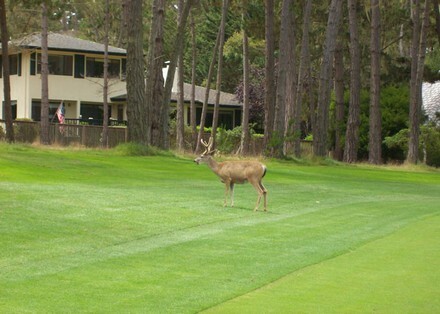 Turns out, the course had only been open one week when I played there. 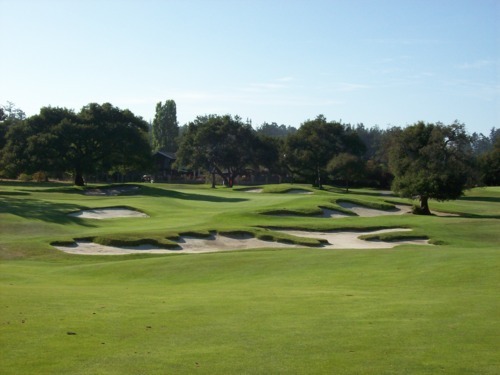 It opened on one Saturday and I was there the following Saturday ready to tee it up, so I was pretty darn lucky to get a time with only a few days notice. That morning, I did go up the hill to Newcastle, just to see what I was missing. 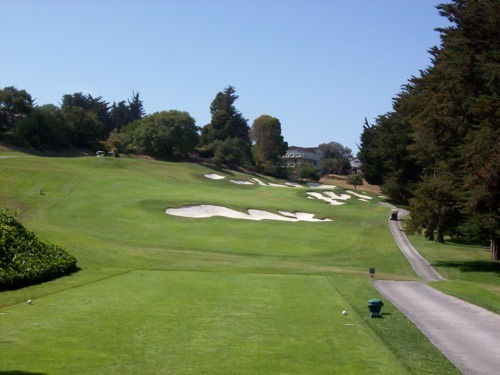 These courses definitely looked like my cup of tea with a very hilly and elevated layout. 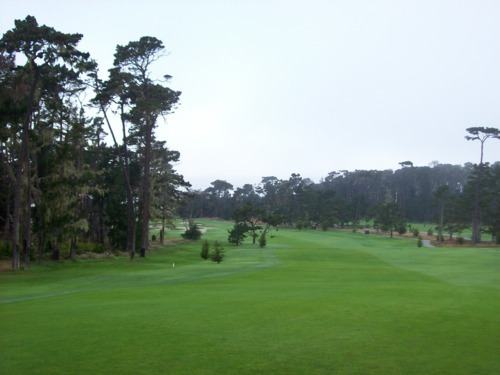 And the views from the parking lot were incredible, so I do hope to come back some day and play these courses for real. 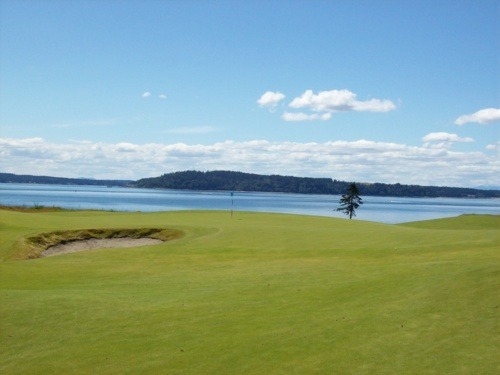 It was too late to second guess, so I headed toward Tacoma (technically University Place, WA) and found my way out to Chambers Bay. Keep in mind, I knew absolutely nothing about this course (other than it was a links-inspired design) before I got there. What a pleasant surprise when I looked out and saw the views of Puget Sound. Oh, and by the way, it was a picture-perfect day as you’ll see from my photographs! 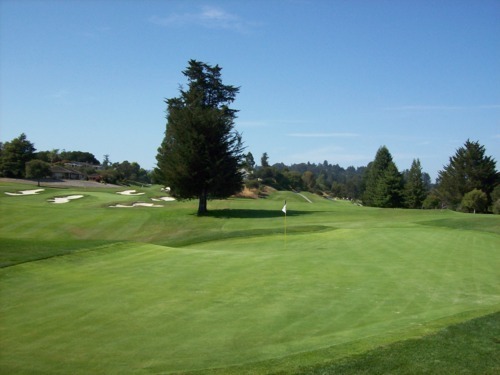 The pro shop is situated on top of the hill by the parking lot and then you take a shuttle down to the course and practice areas. 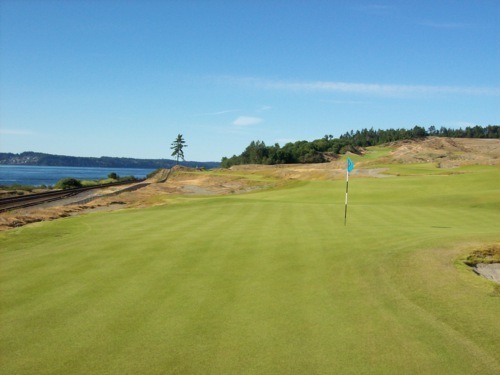 Like Bandon Dunes, it is a walking-only course. 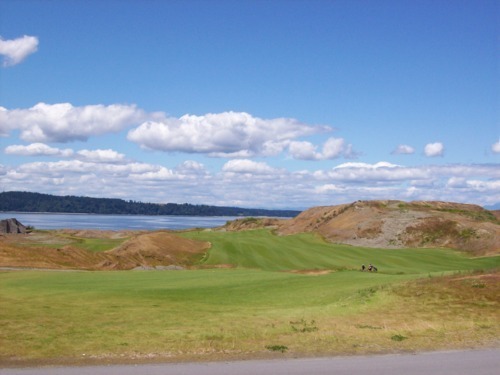 The course is built along a hillside and pretty much every hole has a dramatic view of Puget Sound and the small islands across the water. 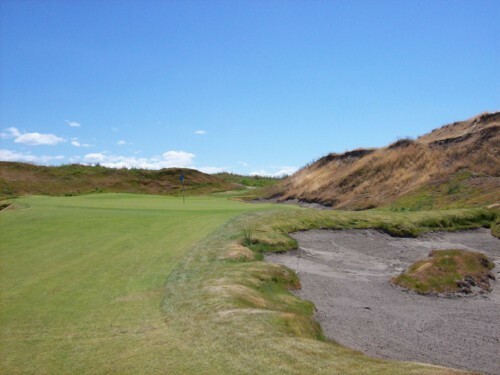 It’s definitely a links layout with rugged dunes, native grasses and lots of sand. 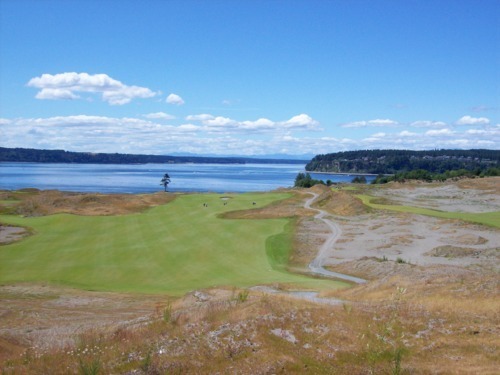 It’s a very tough course and should make for a nice test at the 2015 U.S. Open. My worry is that the course won’t translate as well to TV from an aesthetic standpoint. 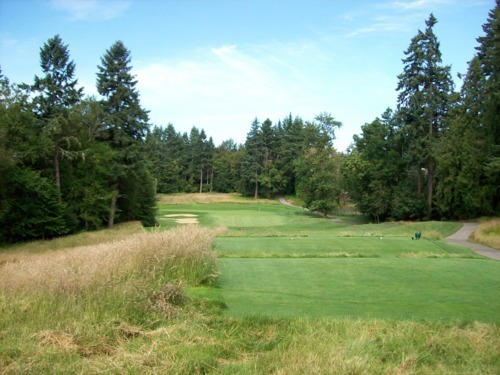 I happened to play it in pristine conditions, but they will let it dry out for the open and if it’s a grey day (like it is most of the time in Seattle) it will probably lose a lot of its visual appeal. 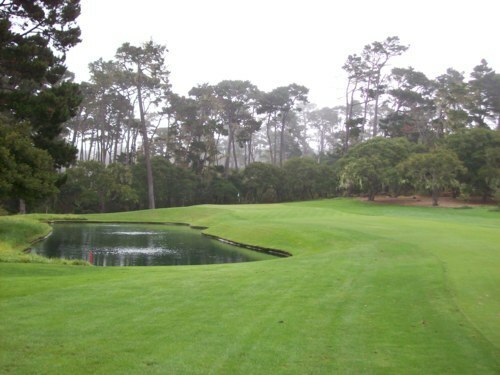 Much like Bandon, unless you are standing there it’s hard to fully appreciate the course and its setting. The 9th hole is a fun one. 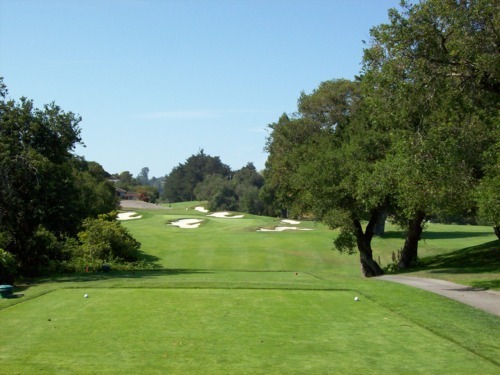 It’s a downhill par-3. 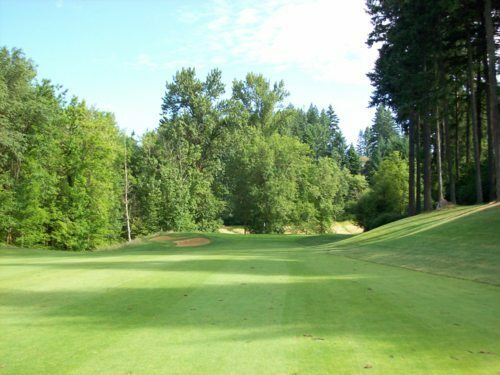 The tee box is up near the clubhouse, which is also by a walking path (the course is owned by the city and part of a public park space). So a crowd was gathered around that day and cheering us on as we hit our tee shots. I was glad I didn’t shank one. In fact, I hit the flag with my tee shot, so that got a nice ovation. I took a little bow and felt like a pro for a brief moment. 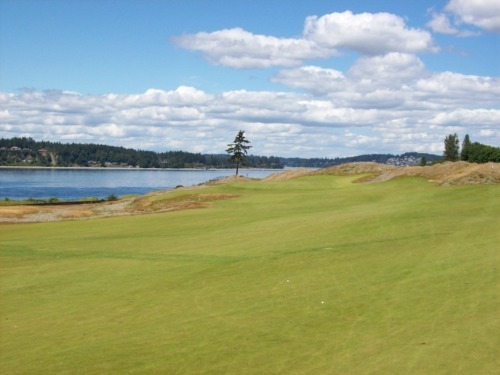 The 15th is the signature par-3 at Chambers Bay. 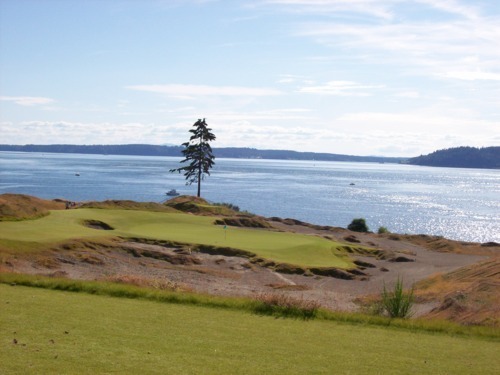 It features the only tree on the course and is called “Lone Fir.” It has a great view of the Sound directly behind the hole. There is also a train track that separates the course from the waterfront, so when a train goes by it adds a little extra atmosphere, as well. 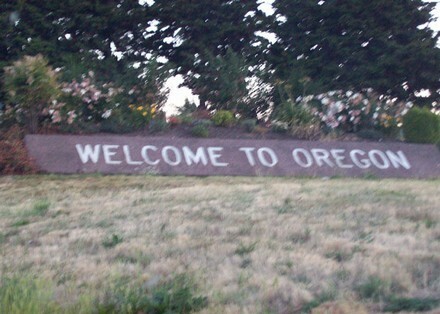 From Tacoma, I headed South on the I-5 toward Portland, Oregon. 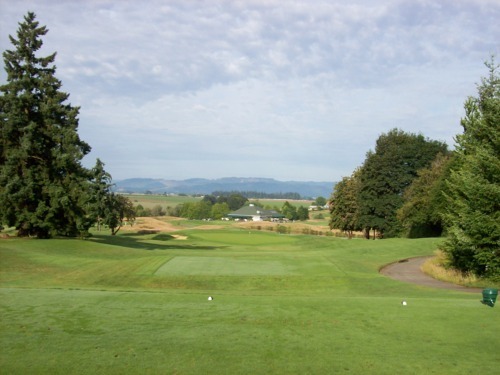 I’ve played plenty of golf in Southern Oregon over the years, but the course I always wanted to play most was Pumpkin Ridge. So this trip was the perfect opportunity as I drove through the northern part of the state. I played the Ghost Creek course. The other course there (Witch Hollow) is private. I got out there early and teed off around 7:00 am. I decided to walk this round because I really wanted to get a personal connection with this course. It worked. 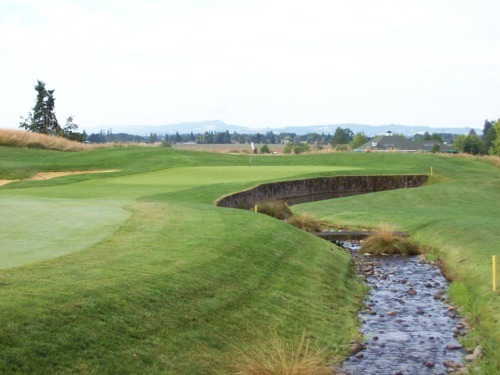 This is such a great course and it’s a shame it has become overshadowed in recent years by Oregon’s two big golf resorts: Bandon Dunes and Sunriver. 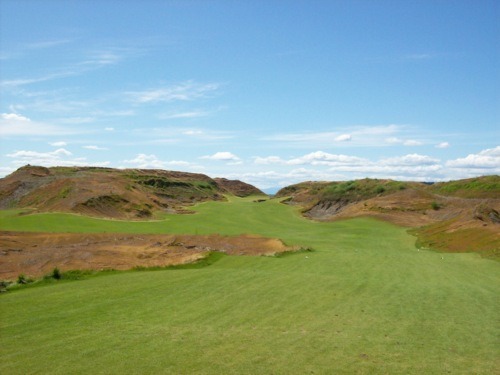 I’ve played all the Bandon courses, which I do love. 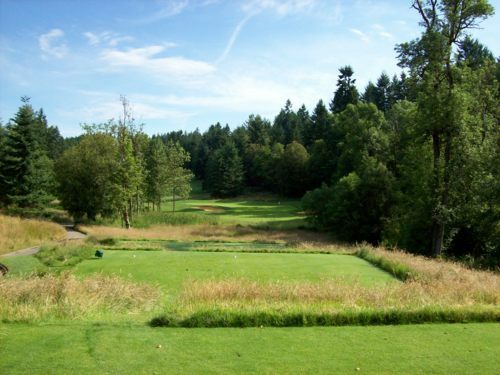 I have yet to play Sunriver, so I can’t make a judgment there. I am sure I’ll love those courses when I finally play them, though. But Pumpkin Ridge was special to me for whatever reason and it exceeded my every expectation. It was in exceptional condition when I played there, so that left an impression. 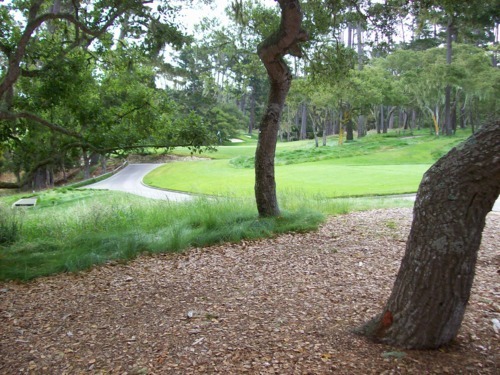 It’s a beautiful course surrounded by a ton of trees. Not a ton of elevation changes, but enough to make it interesting. 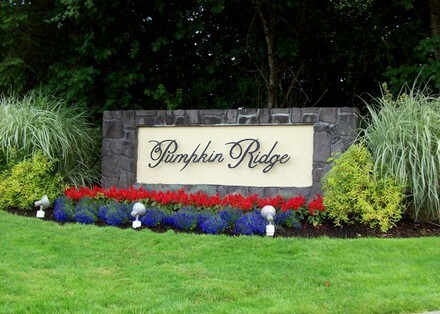 It’s hard to put my finger on exactly what I liked so much about Pumpkin Ridge. All I can say is I absolutely loved it there and I look forward to playing again there someday. I left Pumpkin Ridge with a smile on my face and headed to Crescent City, California for a few days of rest. 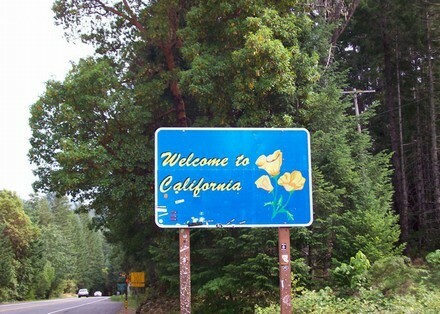 That’s my hometown, so I was visiting with my family and relaxing during the 4th of July holiday. 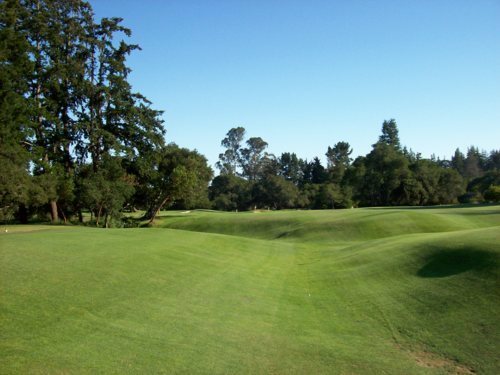 I reached my first destination in the late afternoon as I wanted to take advantage of a twilight rate at Pasatiempo in Santa Cruz, which is another course I always wanted to play. It wasn’t too crowded out there when I arrived, so I was able to get around pretty quickly. This is truly a great course with a lot of history. 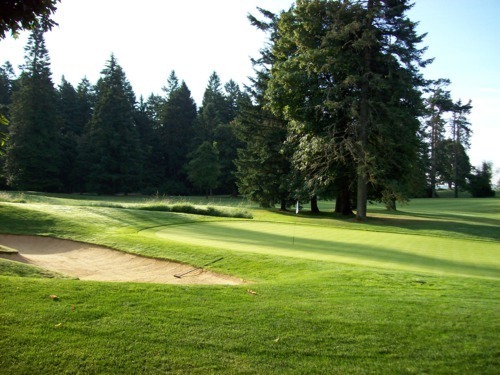 This course opened in 1929 and was designed by the famous course architect, Alistair MacKenzie. 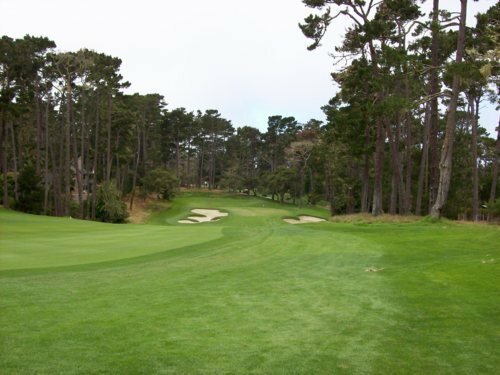 So that is a rare treat in itself because most of his courses are extremely private (such as Augusta and Cypress Point). 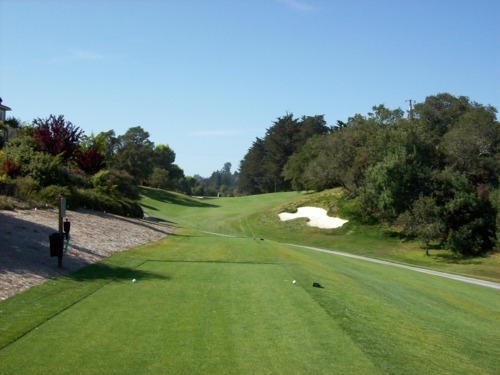 Every hole out here is different and the course provides a wide variety of challenges and views. 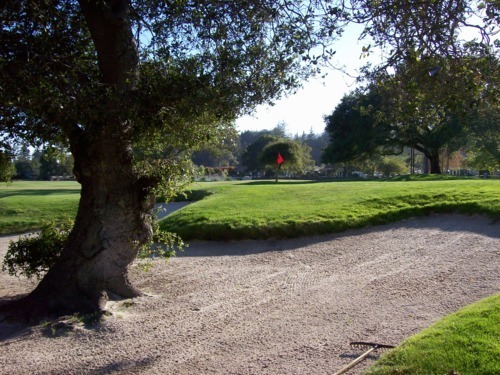 There are some really gnarly bunkers you should try and avoid at all costs. 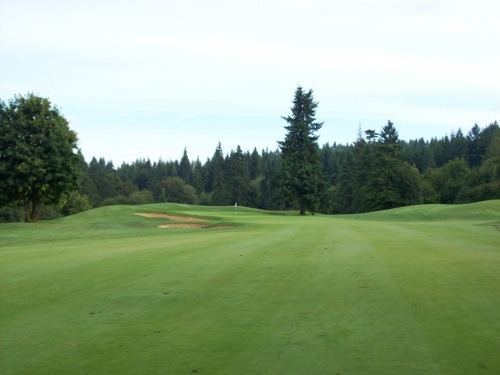 The greens are big, fast and undulating so it’s a stiff test for any level of golfer. Like Pumpkin Ridge, I cannot say enough good things about this course and it is hard to put into words what makes this course so special. 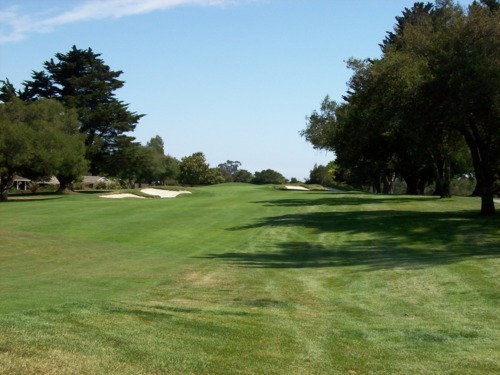 It just is, so if you are in the Monterey area, be sure to include this one on your list. 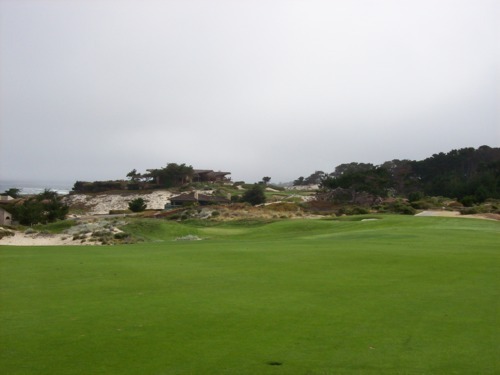 It’s less than an hour away from Pebble Beach and well worth the side trip. 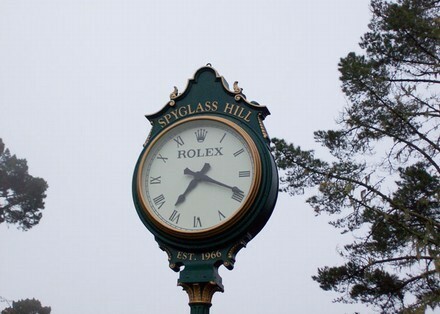 It was Spyglass Hill. 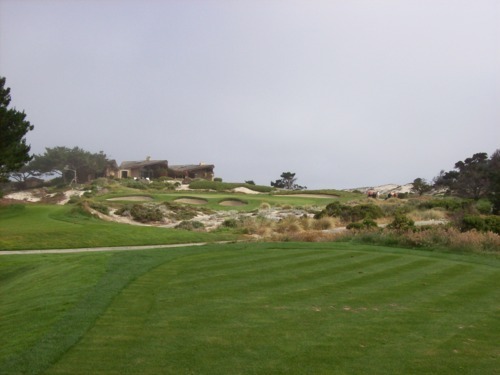 I had already played Pebble Beach in 2006, so Spyglass was next on my list and I figured it would be a fitting end to this crazy road trip. I was able to secure a tee time the day before (as is the resort’s policy for non-guest golfers) around 9:00 am. Perfect. I got out to the course in the morning. 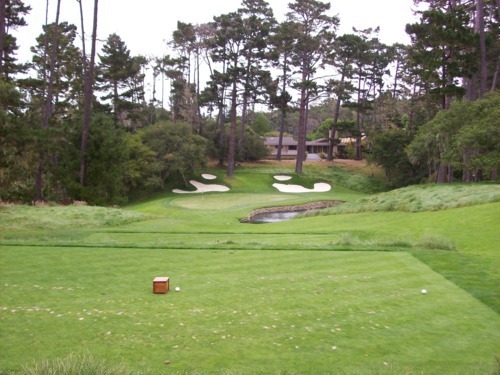 There’s not as much to see and do around the Spyglass clubhouse as there is the Pebble clubhouse, but I was able to keep myself plenty occupied until I teed off. I also walked this round, as well, as it just felt like the right thing to do even though my body was completely worn out. It was a great way to finish. 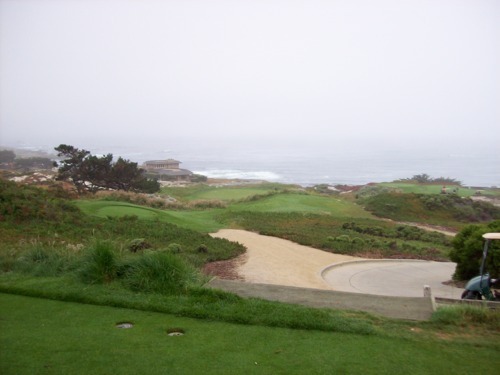 A lot of people prefer Spyglass over Pebble, but I would probably still take Pebble. 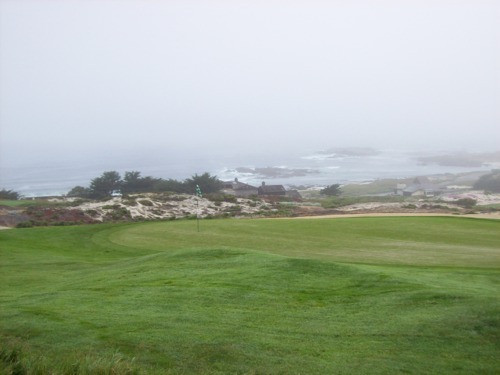 I would probably also take Spanish Bay over Spyglass—but that’s just my opinion. 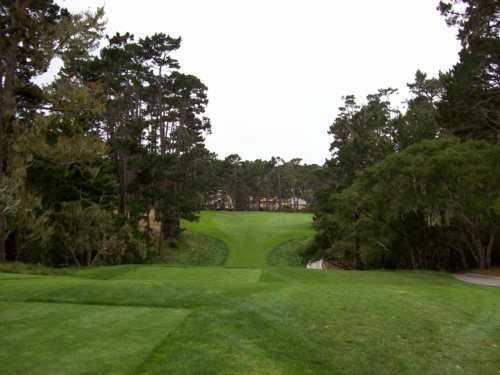 That doesn’t mean Spyglass isn’t worthy of a lot of praise, because it certainly is. 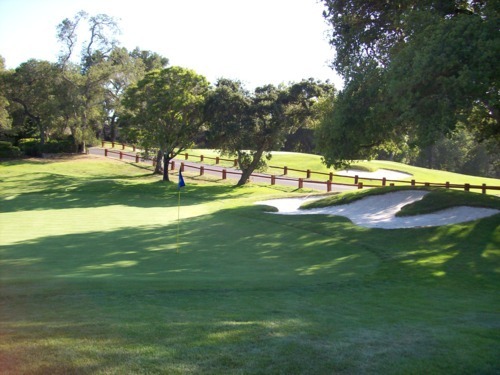 It is a great course with a memorable layout. 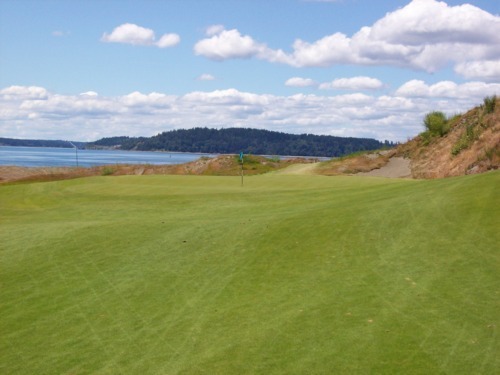 The first hole (a dogleg left par-5) takes you out from the clubhouse toward the ocean. 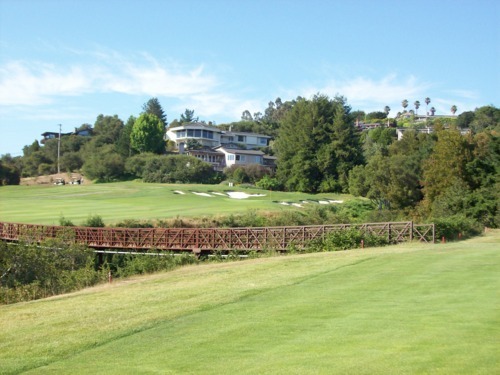 Then holes 2-5 are right on the hillside with great ocean views. These holes have a very different feel than the rest of the course. 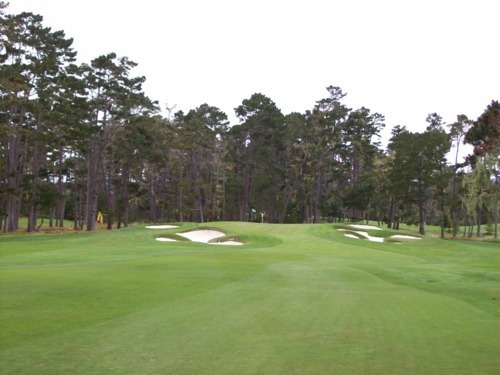 The 6th hole takes you back inland and then the rest of the course winds through the hills and cypress trees. It’s all great. 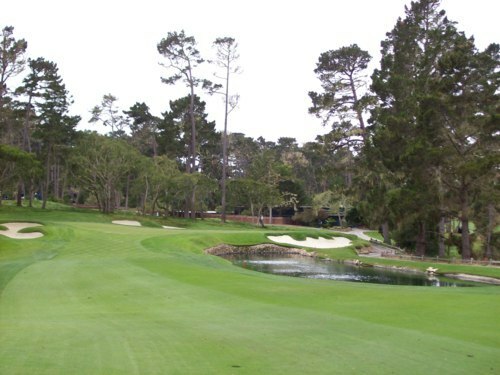 I think the people that prefer Spyglass over Pebble appreciate the “pure” golf layout and challenge of Spyglass as opposed to the tourist factor of Pebble, which is as much about the setting as it is the course. I think both courses are amazing, though. I hope to play them both again someday soon. 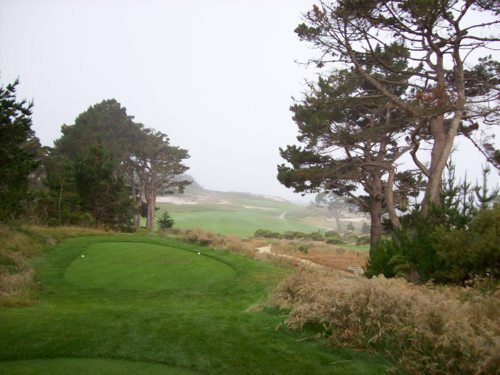 Note: I had another opportunity to play Spyglass in July 2018. Read my updated review here. Well, that concludes the incredible adventure that was my state-by-state road trip in 2007. 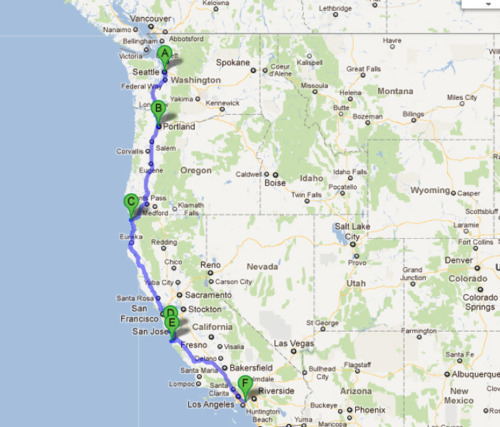 May of 2012 will take me on a similar journey through America’s Southwest and Midwest states. 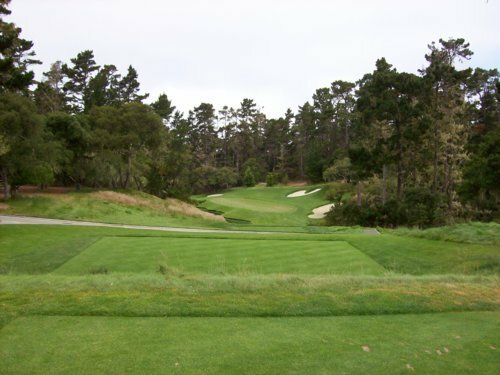 The courses will not be quite as spectacular as the ones chronicled here, but I know plenty of great golf awaits me and there will be plenty of pleasant surprises to be enjoyed.